Home / Unlabelled / Photos; Doctors remove a 32cm degenerating fibroid. 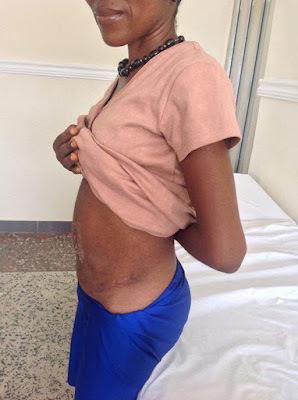 Doctors from Safe Hands Medicare Center Nigeria have removed this. 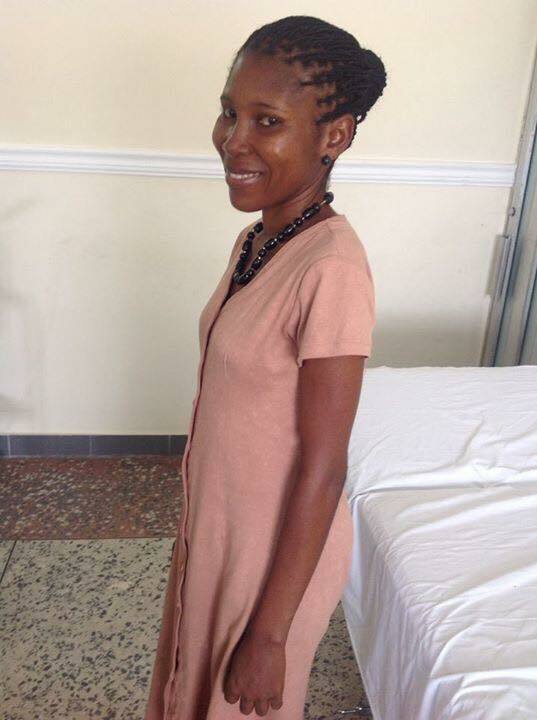 According to the hospitals social media report,confirmatory results shows that the mass weighed 26kg in Histopathology lab and was a 32cm degenerating fibroid. This makes it the Largest ever mass to be removed from an individual in any part of the world. The surgery was done without blood transfusion. More pics..
Access to good healthcare can make a difference. This is the reason I campaign vigorously for universal access to good quality healthcare. 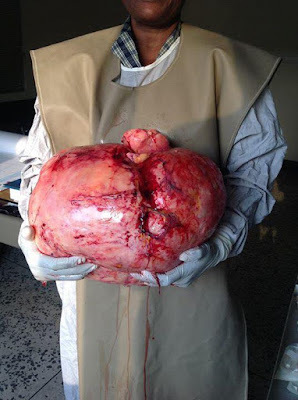 It is a common belief in Africa that a woman with a large mass such as this one may have been cursed by someone in her present or in her past life. Some unqualified personnel may even attempt to make incisions (cuts) with un-sterilized blades or knives all over her abdomen. She may be given different substances to drink and eat in order to deflate the tummy. Wrong diagnosis can be done in the absence of diagnostic equipment. This is the reason many still die in developing countries.